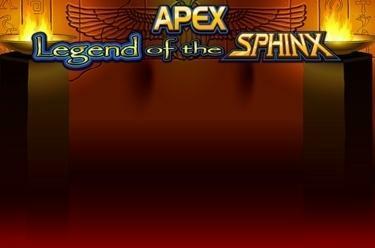 Play Legend of the Sphinx online for free now! In Legend of the Sphinx you meet a particularly kind-hearted sphinx on 5 reels with up to 25 win lines. She is the most lucrative symbol and scores the highest Twist winnings! 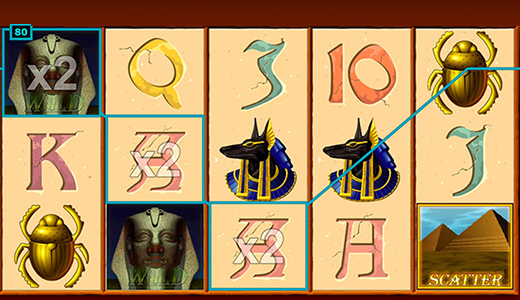 Your aim in Legend of the Sphinx™ is to line up 5 identical winning symbols on one of the lines. The winning patterns run from left to right across the reel set. This slot is all about the sphinx so it comes as no surprise that she plays a special role: She acts as Wild symbol and substitutes for all symbols except for the Scatter, which means she increases your winning opportunities substantially. But that's not all: If she is part of a winning combination your win is doubled! You trigger free games when 3 to 5 pyramid symbols (Scatter) land in any position on the reels. How many free games did I win? With her reply the sphinx grants you up to 20 free spins with triple multiplier. What is my free game winning multiplier? Here, the sphinx will give you 14 free games with a multiplier of up to x 5. You can win further free spins in the free games. Typically, it goes like that: Whoever is unfortunate enough to pass the sphinx must solve a riddle otherwise he/she will be eaten neck and crop by the ill-tempered mythical creature. But we are very picky when it comes to the staff for our slots and good manners are paramount. Thus, the sphinx in Legend of the Sphinx is very amiable: She predicts how many free games and which multiplier you will win. That's how we like it!